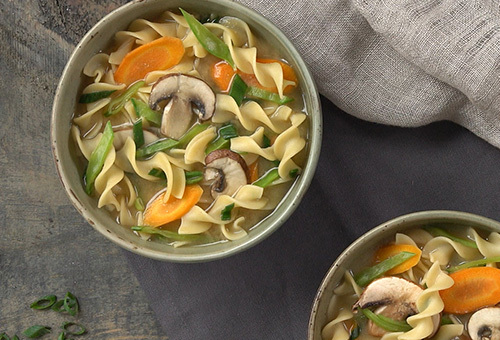 All the warm comforting flavors of chicken noodle soup in an easy skillet dinner. 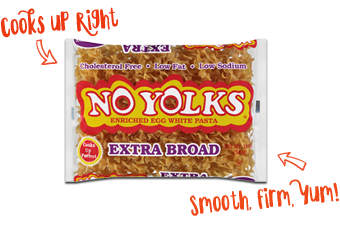 No Yolks® noodles always cook up firm and delicious making this a go-to dish for any night of the week. 1. Topping: Combine panko breadcrumbs, melted butter, 1/4 teaspoon salt and ground black pepper. Transfer to a large skillet over medium heat. Toast breadcrumb mixture for 5 minutes, shaking occasionally, until golden brown. Remove from heat; set aside. Wipe skillet clean. 2. Heat olive oil in same skillet over medium-high heat. 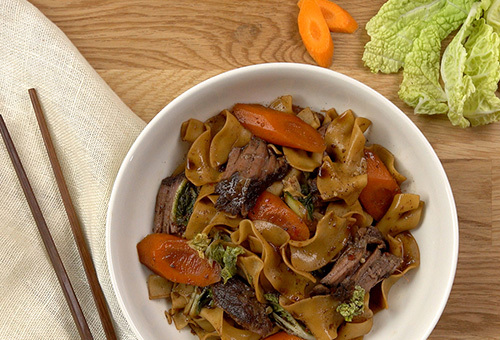 Cook mushrooms, celery, carrots, onion, remaining salt and garlic powder for 5 minutes or until tender. Add broth and thyme sprig; bring to a boil, stirring occasionally. 3. 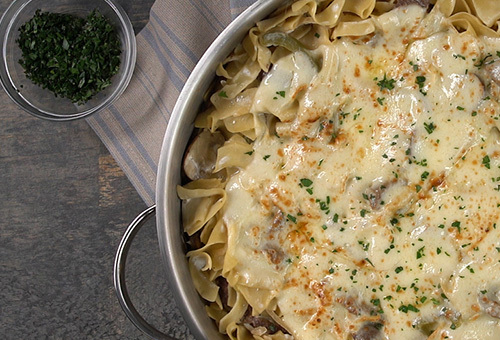 Add cream cheese, Parmesan and uncooked noodles. Stir until well blended. Sprinkle flour over top of mixture. Stir and cook for 1 to 2 minutes, or until mixture begins to thicken. 4. Fold in chicken. Cook, stirring occasionally, for 10 minutes or until noodles are tender, and chicken is heated through. 5. Remove from heat and allow to cool 5 to 10 minutes. Sprinkle with toasted breadcrumb mixture before serving. 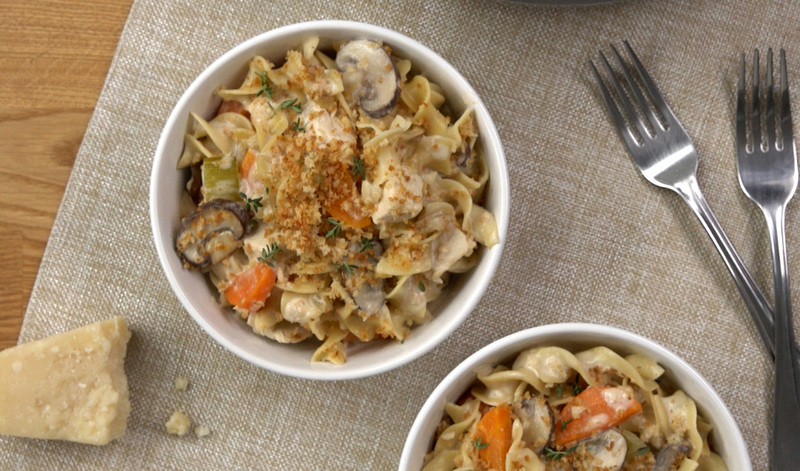 Tip: If desired, you may substitute drained, canned tuna or turkey for the chicken.